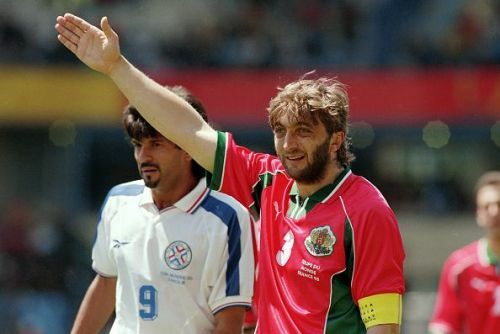 Trifon Ivanov played central defence for a bunch of clubs (ranging from CSKA Sofia to Real Betis, Rapid Wien to Floridsdorfer AC) from 1983 to 2001, and was capped a commendable 76 times for Bulgaria - starring in their stellar 1994 World Cup run that saw them finish fourth. A defender in the old-school mould (no-nonsense, hard tackling, strong as oak), he was renowned for his long-range shooting prowess. 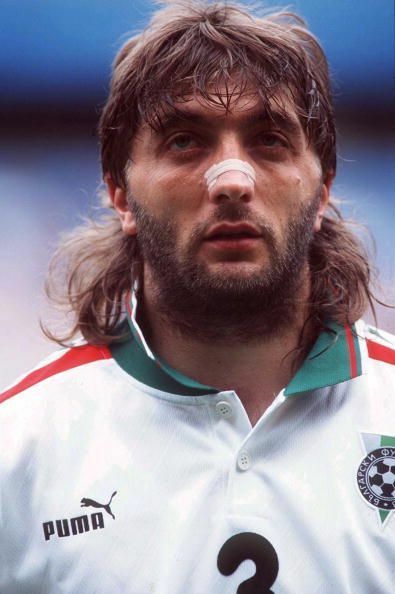 His main skillset though, I presume, lay in scaring the bejesus out of opposition forwards... Just look at that face!